Many Catholic Christians are familiar with the disagreements between other Christians regarding the Old Testament canon. Protestants typically ask why Catholic and Orthodox Bibles are bigger, whereas Catholics and Orthodox turn the question around asking why their Bibles are smaller, deleting several books of Sacred Scripture. Thankfully when it comes to the New Testament, Catholics and Protestants alike are of one mind. The twenty-seven book canon can be found whole and entire with no deviations. However, just as the debate on inspired Scripture has been going on for hundreds of years regarding the Old Testament, many Christians will be surprised to know that there was quite a bit of debate regarding the New Testament canon as well in the early Church, which also spanned a few hundred years. Not to mention, many would have us believe that the Church has hidden certain “Scriptures”, such as the Gospel of Thomas and the Gospel of Peter, from the rest of the world. We typically see this happen each Christmas when the History Channel and Discovery Channel run special documentaries on the subject. But is there any merit to this contention? And how did the early Church settle on what made up the inspired New Testament canon in the first few centuries A.D.? Let’s take a dive into history, going back first to just a few decades after Christ’s Ascension. 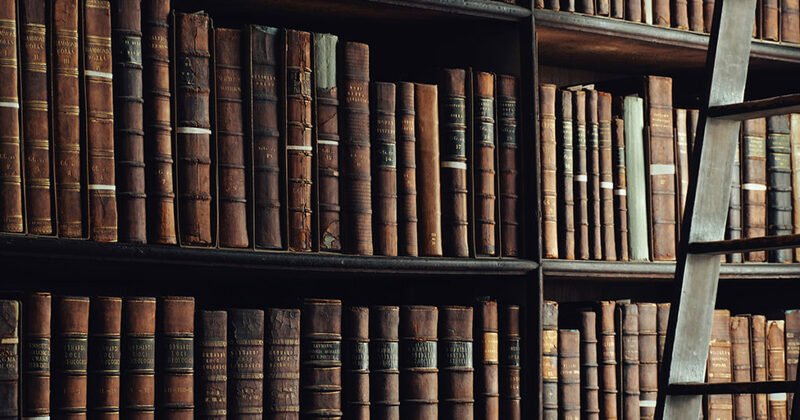 Now while there certainly is room for speculation on when each book of the New Testament of the Bible was written, we can confidently state that these twenty-seven books were written over the span of about fifty years. Between the years 50 A.D. and roughly 100 A.D., we see evidence for each book being circulated not only among its immediate target audience, but the entire universal Church. And keep in mind that at that time, the Catholic Church had yet to expand to all corners of the earth. But as we well know, it was certainly on its way to doing so. Generally it is believed that the Epistle of James is one of the earliest (if not the earliest) books of the New Testament to be written, usually dated about the year 50 A.D. St. Paul’s two Letters to the Thessalonians are typically dated between 51-52 A.D. , whereas Revelation, the Gospel of John and the three Letters of John are dated somewhere around the last decade of the first century. Probably the latest date for the completion of St. John’s Letters is 100 A.D. This means that for nearly half a century, we had a Catholic Church, but no complete Bible. Think about this. In the year 70 A.D., all Christians had the Holy Sacrifice of the Mass, seven sacraments, a hierarchy of bishops, priests and deacons, but no Bible as we know it today. First and foremost this shows that Jesus did not build his Church on a book, or rather, a collection of books. Instead, he founded his Church on the rock (Matthew 16:18) and gave to this Church a real teaching authority (Matthew 18:18; Matthew 28:18-20). “But the Counselor, the Holy Spirit, whom the Father will send in my name, he will teach you all things, and bring to your remembrance all that I have said to you” (John 14:26). We see this concretely through the Sacred Tradition that was passed down from the apostles to their successors, as well as in our modern day with said successors exercising their authority through the Magisterium of the Church. That covers the first two legs of the so-called “stool”, but it would be fitting to also apply our Lord’s words to Scripture itself. The Holy Spirit continued his revelation to us through the writers of the New Testament. And when the time came, the Holy Spirit guided the Magisterium of the Catholic Church to proclaim which books were indeed Sacred Scripture and which were not. Now this prompts the question: just when were these inspired texts canonized and who placed them into the table of contents we all find at the front of our Bibles today? It’s interesting to ponder the following, first. Oftentimes, our Protestant brethren forget that the Bible is a Catholic book. It was Pope St. Innocent I that had authoritatively confirmed the declarations of local councils in the late fourth and early fifth centuries. The New Testament that the various Protestant denominations have received, and still use today, was decided upon by the successors of the apostles; that is, the bishops of the Catholic Church. It’s ironic to note that the same Protestants who would rather rely on the opinions and decisions of first century Jewish rabbis for their Old Testament canon (see Gary Michuta’s “Why Catholic Bibles Are Bigger” for a lengthy treatment) would also reject the opinions of many early Christians. Believe it or not many early Christians, including saints and early Church Fathers, rejected books such as the Letter to the Hebrews and the Book of Revelation. On the flip side, books like the Shepherd of Hermas, the Epistle of Barnabas, the Letters of Clement, and even the Didache, were accepted by many as truly inspired Scripture. Today we recognize those books as apocrypha, but still receive spiritual benefit from reading these writings. But especially during those first two centuries of the Church’s existence, the canon of the New Testament was very murky. The earliest surviving list of books comes from the Muratorian Fragment, dated between the years 170-190 A.D. This canon excluded the Letter to the Hebrews, James, and both letters of Peter, yet included the apocryphal Apocalypse of Peter. Clearly this was an issue that wouldn’t be going away, and councils were convened to discuss the matter. As time went on, the various canons floating around became more and more streamlined. By the late fourth century, many canons which mirror the definitive canon we have today had fully emerged. One criterion for determining authenticity was whether or not the work was apostolic. But another important criterion for determining the inspiration of the writings being discussed by local and regional councils was what has been called the “testimony of the ancients”. Certain spurious writings had become lesser read in churches, while those that we recognize as authentic Scripture continued to be used throughout the sacred liturgy. These factors helped lead to the solemn declarations of canonicity at such gatherings as the Council of Hippo in 393 and the Council of Carthage in 397. The Council of Hippo’s affirmation of the canon of Scripture was reaffirmed by the Council of Carthage, and did not reflect something new by any means. At this point in history, the canon had already been met with unanimity by virtually all of Christendom, but these two councils solemnly defined the canon. “Following, then, the examples of the orthodox Fathers, it receives and venerates with a feeling of piety and reverence all the books both of the Old and New Testaments, since one God is the author of both; also the traditions, whether they relate to faith or to morals, as having been dictated either orally by Christ or by the Holy Ghost, and preserved in the Catholic Church in unbroken succession. “It has thought it proper, moreover, to insert in this decree a list of the sacred books, lest a doubt might arise in the mind of someone as to which are the books received by this council. The various Gnostic gospels were never considered for the canon because they all appeared well after the times of the apostles. For a quick overview of these various Gnostic Gospels, along with dates of their composition, see the Catholic Encyclopedia. Suffice it to say, the legitimacy of the four Gospels were something all Christians could agree on. While there was some back and forth in determining the rest of the canon, the Church was able to utilize the charisms given to her by our Lord Jesus in reaching a consensus and determining the truth of the matter. By imparting his Holy Spirit as was promised, the Church has been led into all truth, including those matters regarding Sacred Scripture.